The sixth installment of Karan Johar's chat show Koffee with Karan has seen many debuts like Sara Ali Khan, Jahnvi Kapoor, Aditya Roy Kapur as well as Prabhas and Rana Daggubati. Kriti Sanon and Kartik Aaryan, who will be seen in Dinesh Vijan produced Luka Chuppi as TV news reporters, will also be sharing the couch for the first time. In a previous episode, Sara had named Kartik as one actor who she would like to date in response to host Karan Johar's rapid fire question. In the teaser, Karan asks Kartik whether he was interested in the Simmba actress. Kriti further adds fuel to the fire and asks him whether he had sent his address to Sara. In the rapid fire round, Kartik was asked which film he would have done better compared to the actor originally cast in the role. His instant response was Andhadhun, starring Ayushmann Khurrana and Tabu. 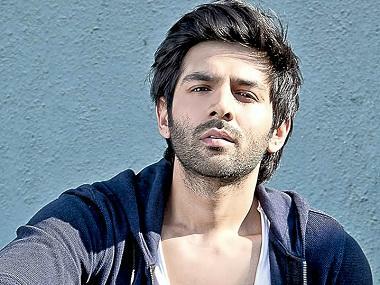 However, when Karan asked if there was one lie he could tell without batting an eyelid, Kartik said, "That I could have done a better role in Andhadhun." Kriti also shared tidbits from her journey as a model to a known face in the Hindi film industry. An engineer, she had never planned to venture into acting but took it up after someone suggested it, she revealed. Karan also asks whether the two had taken up a role just for the money. Kriti admits that she has not been offered a huge sum for a role yet. She was last seen in Bareilly Ki Barfi while Kartik starred in Sonu Ke Titu Ki Sweety, which crossed the Rs 100 crore mark at the box office. Directed by Laxman Utekar, the film set in Mathura, will release on 1 March, 2019. Luka Chuppi is supported by Aparshakti Khurana, Pankaj Tripathi, and Vinay Pathak in pivotal roles.